The weekend did not get off to a good start. A planned quiet night in with a friend on Friday ended with me tripping over something and sustaining a deep cut to my chin (and a few other bruises) which would need stitching. Five hours later and back from the hospital we managed a few hours sleep. A few weeks ago my son and his partner had expressed a wish to take some photographs of each other in their Cosplay outfits amongst sand dunes. 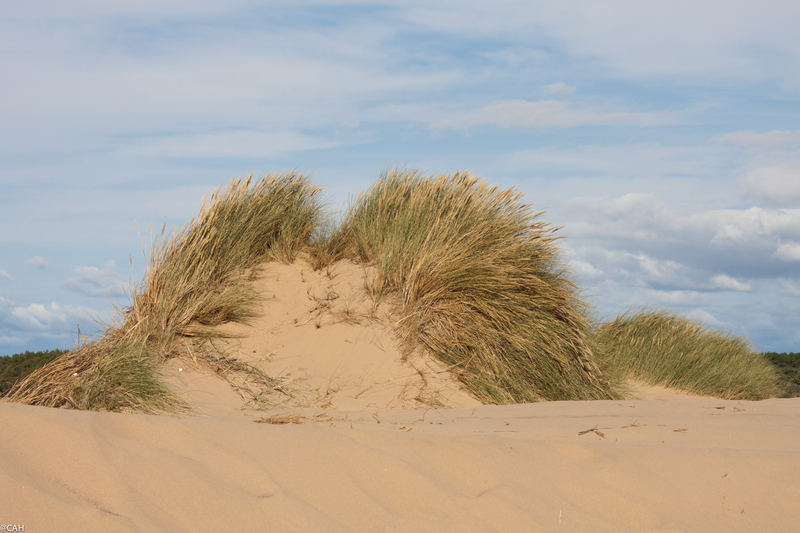 Our nearest are at Formby Point and so the trip had been planned for Saturday. 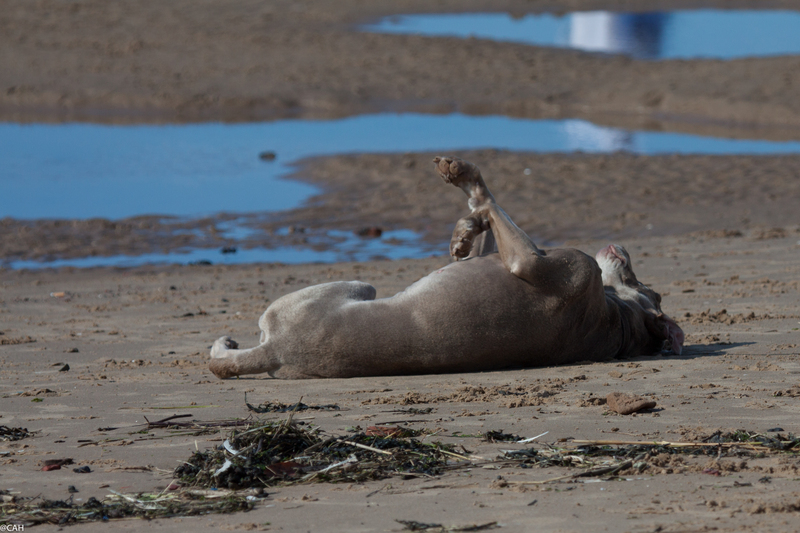 The weather forecast was promising and I was sure a beach walk would be therapeutic so we set off in the early afternoon. The roads were quiet and although there were quite a few people at the point, we found a parking space and set off to explore. 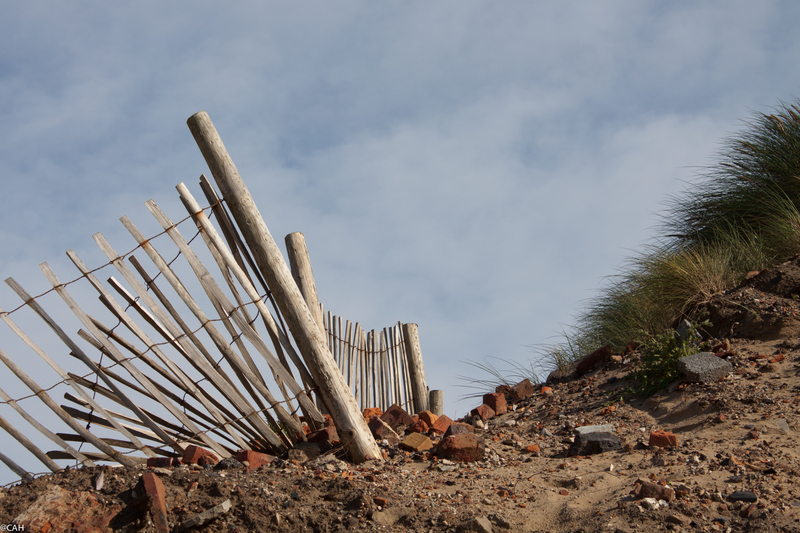 The dune system is extensive and there was an asparagus field behind them (it is now grown at a nearby farm) but erosion is constant – rubble on the beach dates from a 1960s carpark. 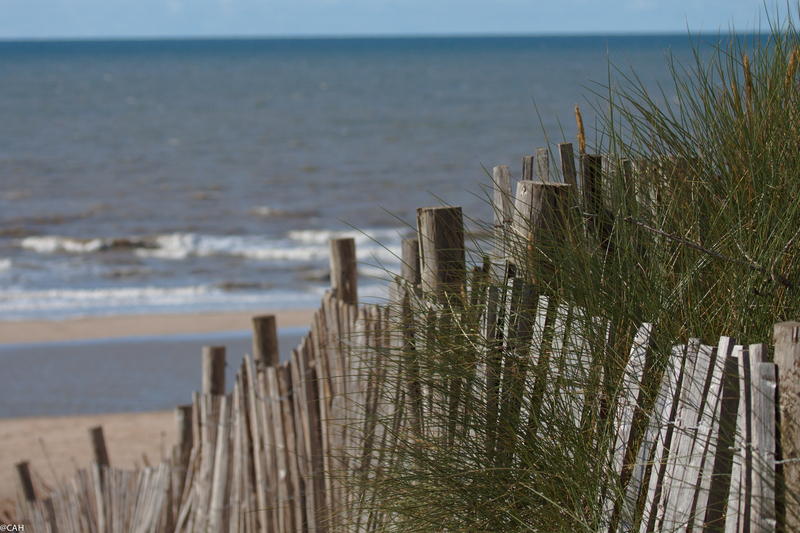 We spent a couple of hours walking along the beach, behind the dunes and back via the beach. I added to my seaglass collection and took a few photographs which might inspire painting at some point. The pine forest backing the beach reminded me of those planted along the coast in southwest France by Napoleon in order to stabilise the dunes. Red squirrels can be found here but we did not have time to do the walk where they are most likely to be seen. The Sefton Coastal path passes through and is a walk we plan to do over a weekend, possibly next spring. We will return here at a different time of year and day as it is a very special place. 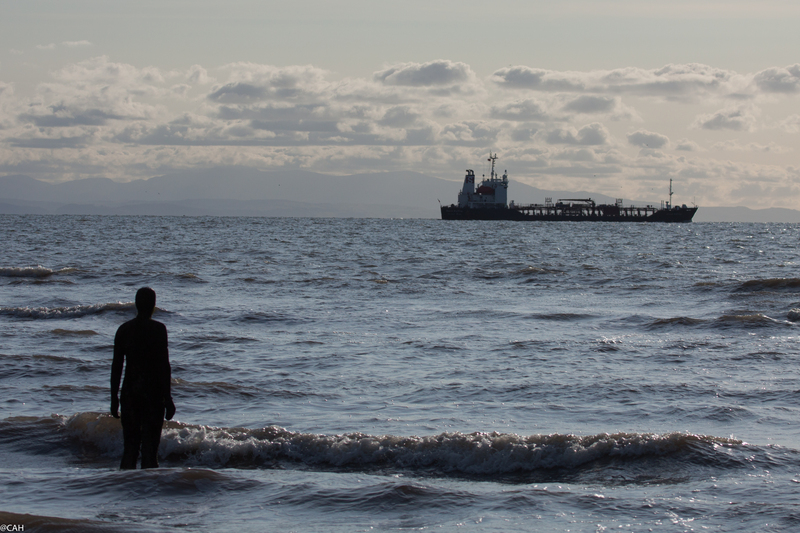 We continued down the coast to Crosby and walked along the beach to see Antony Gormley’s ‘Another Place’ – a hundred cast iron male figures looking out to sea. The classic time to photograph them is sunset but as James was working overnight, we had to get back in time for him to rest beforehand. There are also six figures near and in the Water of Leith in Edinburgh. So far, I have only seen one but must explore the rest. In the last two weeks we have seen the figure at Stockbridge, the Angel of the North and now some of the iron men in Crosby.